Solution 2: Give clients the ability to book appointments online. 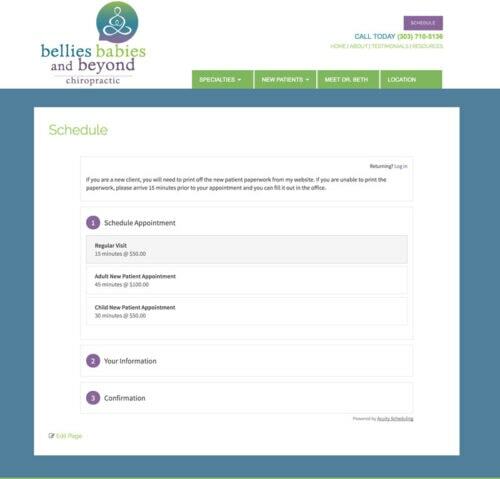 The addition of an online scheduler was a game changer for her business growth, showing an immediate increase in appointments and time savings as she spends less time negotiating appointment times. Solution 3: Mobile site to have scheduling and contact information easily accessible at the top of the page making it easy for potential customers to find what they need while on-the-go. 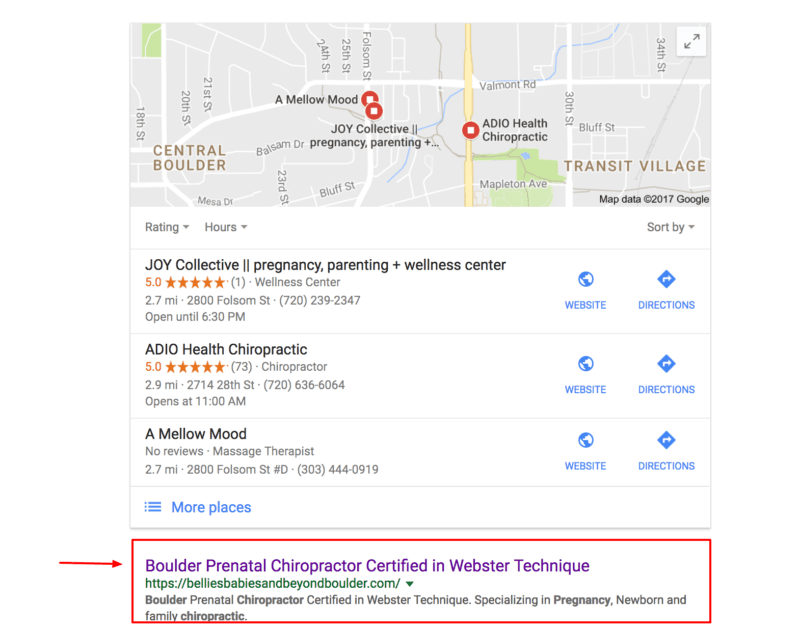 Solution 4: Search engine optimization for her Chiropractic for pregnancy niche. 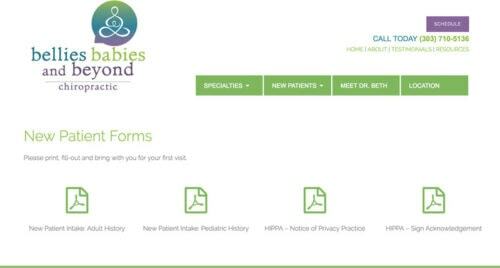 Bellies Babies and Beyond shows as first organic search result under ads and local locations.